The Giant's Causeway lies at the foot of the basalt cliffs along the sea coast on the edge of the Antrim plateau in Northern Ireland. It is made up of some 40,000 massive black basalt columns sticking out of the sea. The dramatic sight has inspired legends of giants striding over the sea to Scotland. Geological studies of these formations over the last 300 years have greatly contributed to the development of the earth sciences, and show that this striking landscape was caused by volcanic activity during the Tertiary, some 50–60 million years ago. Au pied des falaises qui bordent le plateau d'Antrim en Irlande du Nord, la Chaussée des Géants, composée de quelque 40 000 colonnes de basalte, s'enfonce doucement dans la mer. Elle a inspiré des légendes où des géants l'utilisaient pour franchir la mer jusqu'en Écosse. Les études géologiques qui lui ont été consacrées depuis 300 ans ont contribué au développement des sciences de la Terre et montré que ce paysage spectaculaire s'expliquait par des activités volcaniques datant du tertiaire, il y a quelque 50 à 60 millions d'années. عند قدم المنحدرات الصخرية المحيطة بهضبة أنتريم في ايرلندا الشمالية، ينغمس ممر العمالقة المؤلف من 40000 عمود من البزلت بهدوء في البحر. وقد شكل مصدر ايحاء لعدد من الأساطير حيث كان العمالقة يستخدمونه لعبور البحر حتى اسكتلندا. وساهمت الدراسات الجيولوجية التي خصصت له منذ 300 عام في تطور علوم الأرض وأثبتت ان روعة هذا المنظر تعزى الى نشاطات بركانية يعود تاريخها الى الزمن الجيولوجي الثالث أي من 50 الى 60 مليون سنة. Козвэй-Кост – сложенный базальтами участок побережья в Северной Ирландии, на северной оконечности плато Антрим. Берег состоит из массивных столбов темного базальта, которые торчат прямо из воды и чье количество достигает примерно 40 тыс. Этот удивительный ландшафт породил легенду о гиганте, который захотел перейти по морю в Шотландию, и для этого соорудил каменную мостовую. Геологические исследования, произведенные на этом объекте за последние 300 лет, внесли большой вклад в развитие наук о Земле, показав, что берег возник в третичный период в результате вулканических извержений, примерно 50-60 млн. лет назад. Al pie de los acantilados que bordean la meseta de Antrim, en Irlanda del Norte, la Calzada del Gigante, formada por 40.000 columnas de basalto, se hunde suavemente en el mar. Su fantástica apariencia ha inspirado leyendas de gigantes que cruzaban el mar por ella hasta las costas de Escocia. Los estudios de que han sido objeto estas formaciones geológicas en los tres últimos siglos han contribuido al desarrollo de las ciencias de la tierra, mostrando que este paisaje espectacular fue originado por la actividad volcánica de la Era Terciaria, hace unos 50 o 60 millones de años. De Giant’s Causeway ligt aan de voet van de basaltrotsen langs de kust, aan de rand van het Antrim-plateau in Noord-Ierland. De rotsformatie bestaat uit zo’n 40.000 massieve zwarte basaltzuilen die uit de zee steken. De dramatische aanblik was inspiratie voor legendes over reuzen die over zee naar Schotland liepen. De Causeway-kust - zo'n zes kilometer lang - toont een ongeëvenaarde weergave van geologische formaties, het gevolg van vulkanische activiteit tijdens het Tertiairtijdperk, zo’n 50 tot 60 miljoen jaar geleden. Geologische studies van deze formaties gedurende de afgelopen 300 jaar hebben veel bijgedragen aan de ontwikkeling van de aardwetenschappen. The Giant’s Causeway and Causeway Coast is a spectacular area of global geological importance on the sea coast at the edge of the Antrim plateau in Northern Ireland. The most characteristic and unique feature of the site is the exposure of some 40,000 large, regularly shaped polygonal columns of basalt in perfect horizontal sections, forming a pavement. This dramatic sight has inspired legends of giants striding over the sea to Scotland. Celebrated in the arts and in science, it has been a visitor attraction for at least 300 years and has come to be regarded as a symbol for Northern Ireland. The property’s accessible array of curious geological exposures and polygonal columnar formations formed around 60 million years ago make it a ‘classic locality’ for the study of basaltic volcanism. The features of the Giant’s Causeway and Causeway Coast site and in particular the strata exposed in the cliff faces, have been key to shaping the understanding of the sequences of activity in the Earth’s geological history. Criterion (vii): The cliff exposures of columnar and massive basalt at the edge of the Antrim Plateau present a spectacle of exceptional natural beauty. The extent of visible rock sections and the quality of the exposed columns in the cliff and on the Causeway combine to present an array of features of considerable significance. Criterion (viii): The geological activity of the Tertiary era is clearly illustrated by the succession of the lava flows and interbasaltic beds which are in evidence on the Causeway Coast. Interpretation of the succession has allowed a detailed analysis of Tertiary events in the North Atlantic. The extremely regular columnar jointing of the Tholeiitic basalts is a spectacular feature which is displayed in exemplary fashion at the Giant’s Causeway. The Causeway itself is a unique formation and a superlative horizontal section through columnar basalt lavas. Most of the 70 ha site is in the ownership and management of the National Trust. Access to the coast is by a system of footpaths which allow visitors the opportunity to view the coastal scenery from the cliff tops and also examine the geological features at close range. The path is generally unobtrusive, and monitored and maintained to keep it in a safe condition. The cliff exposures and causeway stones, key attributes of the property, are protected by ownership in perpetuity by The National Trust. The removal of ‘souvenir’ stones from the Causeway, which occurred before the area was protected, has long since ceased. The property has many layers of statutory and non-statutory protection. In addition to World Heritage status, most of the property is a National Nature Reserve and also forms part of the Giant’s Causeway and Dunseverick Area of Special Scientific Interest. Almost all of the terrestrial area of the property (mainly its vegetated sea cliffs) has been designated as the North Antrim Coast Special Area of Conservation (SAC) under the Habitats Directive (Natura 2000). The designation of the Causeway Coast Area of Outstanding Natural Beauty (AONB), which covers an area of spectacular coastal scenery stretching over approximately 29 km, gives formal statutory recognition to the quality of the landscape. The National Trust holds most of the land in inalienable ownership, with approximately 5% of the property remaining in private ownership. The Crown Estate is considered the legal owner of all lands between high and low water mark and has rights over the sea bed within territorial waters. 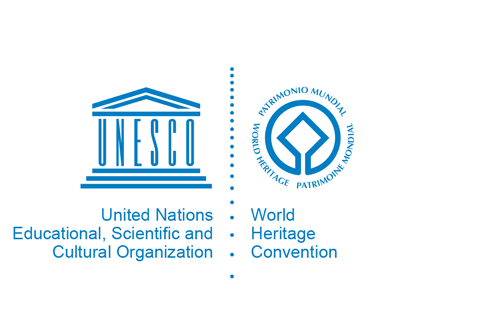 A World Heritage Steering Group comprising relevant stakeholders provides the framework for implementation of the property’s Management Plan, ensuring the conservation of the property as well as managing visitation, as the Causeway is Northern Ireland's most popular tourist attraction. A world-class visitor centre, aimed at improving both the visitor experience and ensuring the integration of the centre within the landscape in order to maintain the property’s outstanding scenic beauty, has been built by the National Trust. This management framework ensures delivery of the management requirements for the property and its Outstanding Universal Value, as well as the conservation requirements arising from all the various designations, with the delivery of a world-class experience of the property by its visitors. The Giant’s Causeway World Heritage Site Management Plan acknowledges the continuing effects of natural erosion which will gradually alter the cliff exposures. Path routes, and possibly even site boundaries, may need to be changed to accommodate the effects of this process. Changes in sea level or an increased frequency of storm events may also, in the future, affect the degree to which the causeway is accessible or visible. The need to continue to monitor the effects of climate change and erosion is recognised in the Management Plan and associated action plan. Other threats requiring effective protection and management include direct damage to natural features within the property through human impact. This is addressed through legal control and management by the National Trust. Damage to the setting of the property through human impact resulting from inappropriate development or land use is addressed through legal and spatial planning control measures.